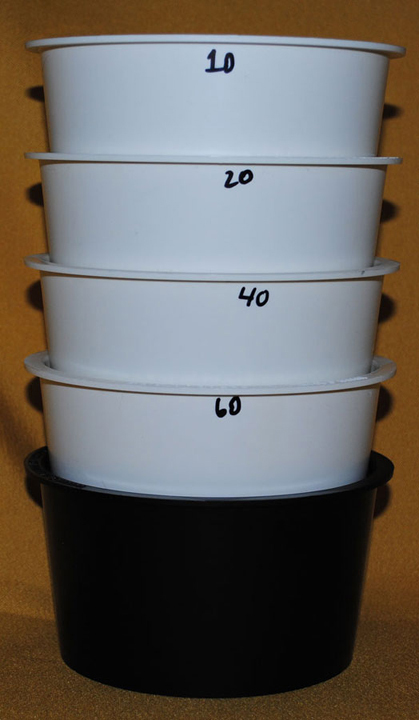 The pots are made of a tough ABS plastic and are only 5.75″ across and 3.5″ tall making the Camel Classifier Set compact and easy to use. Just put your placer material in the top (10 mesh) pot, nest the other three pots together from largest to smallest and set them into the bottom tub. Then shake vigorously to separate the five sizes. Highest efficiency is achieved if the material is dry, but wet separation is possible by shaking the set in water. As your final step, use the Estwing Gold pan for sorting.